All product packages ship in bulk (not retail packaged), including tracing paper and instructions. Orders are typically shipped within 24 – 48 business hours. Orders will be shipped upon receipt of full payment by the shipping method of the buyer’s choice at the time of checkout. Delays may occur in shipping times due to postal or customs delays. While this is not our responsibility, we will do everything we can in co-ordinance with the postal system of the user’s choice, to get the parcel to you as quickly as possible. We are required to wait until the day after the latest possible delivery date, before we can open an investigation. For items that are unable to be delivered to the address provided or any “Return To Sender” packages, the customer will be responsible for any shipping charges to return the package to the original destination after we have received it. Paypal is the main form of payment accepted at this time. If you cannot pay through Paypal, please contact us at sales@padskinz.ca to coordinate your payment. We do not issue refunds. We will replace damaged product or exchange colours within 7 days of receipt. CageSkinz are final sale. Please contact sales@padskinz.ca for more details, should you have an issue. Sales tax will be charged, where applicable by Canadian tax law. I hereby confirm and understand that use of any of Chameleon Sports products are at my own risk. I further agree I will not hold Chameleon Sports, owners and employees, liable for any reason for damage to any equipment or any personal injury incurred while using any of Chameleon Sports products and/or the suggested installation materials or installation tools. 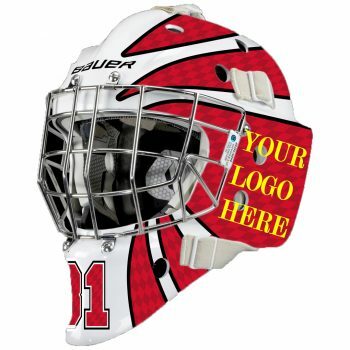 I understand that it is not recommended to use CageSkinz on any polycarbonate goal mask or helmet as CSA and HECC advise adding paints from any unapproved mask painters or any adhesive backed material (CageSkinz mask vinyl for example) to a polycarbonate helmet or goal mask could lead to personal injury, death and / or damage to the goal mask or helmet and will nullify any CSA or HECC warranty / approval offered by the manufacturer of the goal mask or helmet. By checking the check box at checkout, I have read and understand all warnings set out above and further indemnify Chameleon Sports, it’s owners and employees, from any and all liability incurred through the use of their products. 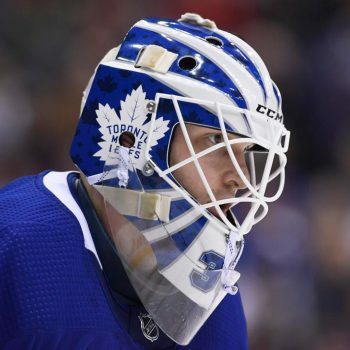 More info can be found at the link below but we suggest you consult your country’s hockey association rules and mask manufacturer’s warranty. You can also contact sales@padskinz.ca for additional assistance or clarification.